As a leading manufacturer of automated strapping systems and plastic strapping materials, Dynaric offers a wide range of general and specialized packaging solutions of outstanding reliability, performance, and productivity. As part of our value added program, we offer pre and post installation services including a vast inventory of replacement parts for all Dynaric strapping units. A wide selection of high performance strapping materials in various sizes, gauges, and colors. The industries best battery operated hand tools. Dynaric's Digit Smart friction weld tools offers productivity and economy. Dynaric's most economical and popular strapping solutions. The DF series outperform all strapping units in its class! 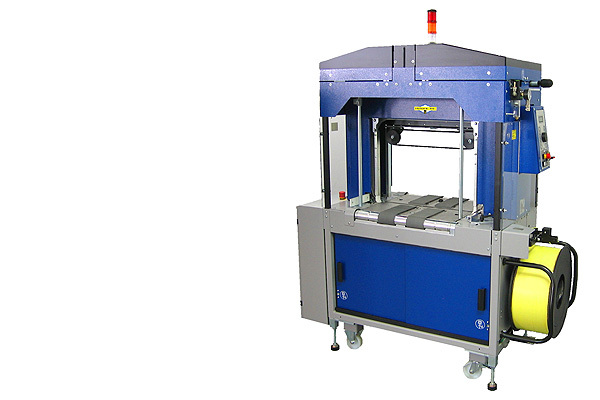 Dynaric's wide variety of automated systems allows them to meet customer's requirements no matter what their strapping application. Whether it's a bundle of newspapers, linen or any other package, Dynaric's fully automatic systems will strap it faster, economical and reliable.